Order your Harry Potter Slytherin Scarf! The hunger for power is almost synonymous with the house founded by Salazar Slytherin. Slytherin students value ambition, cunning, resourcefulness, and pure-blood heritage. 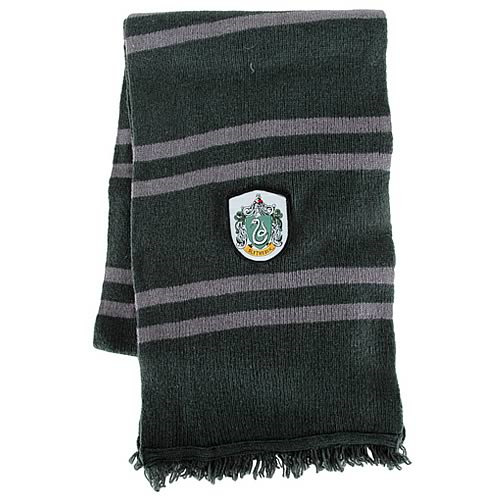 Now you can show your school-- and house-- spirit with this 75-inch lamb's wool Harry Potter Slytherin Scarf!